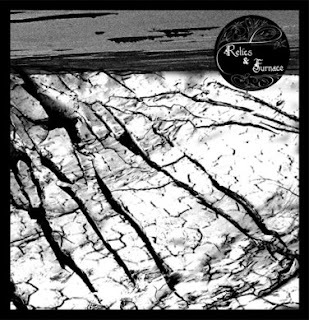 One Path For Me: Furnace / Relics: Split 7"
Furnace / Relics: Split 7"
It's hard to believe that this record is four years old, and though I first heard this back then, I felt the need to review it because it still rings with excellence to me. Furnace is from Boston, Massachusetts and are one of those bands that, despite being around for quite a while, still produce some of the most creative and heavy music in the genre. While you'll hear some straight forward d-beat style thrashing here, Furnace does a great job of adding their own sludgy dynamic into the mix and changing things up. There's a bit of melody here too that will have you hearing something similar to Titan or Buried Inside at times. The vocals are strained screams that fit quite nicely over this brand of chaos. There's two songs and a cover of Dropdead's "Those Who Deny". Relics joins their friends from Furnace on this release. At the time of this recording the band operated as a four piece (before vocalist Meghan left the band). Featuring ex and current members of Ampere, Vaccine and Wasteland, this band always amazed me with their huge live sound and technical precision. Relics brings a very interesting mix in that it has elements of heavy thrash and sludge blended in well with some melodic chaos, like that of Ampere or For Want Of. The first track "Inert" will give you a great idea of how this band can from some punishing sludge to a full speed attack of off time blast beats. There's two songs and a cover of "Dead Stare for Life" by No Comment.